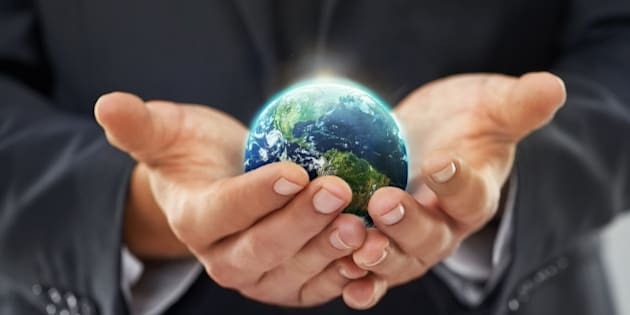 Leading sustainability organizations are the ones that have learned how to optimize their limited resources, and use generally accepted standards where possible. They frequently use management systems standards and industry standards to drive performance, and reporting standards such as the Global Reporting Initiative (GRI) to drive communications. 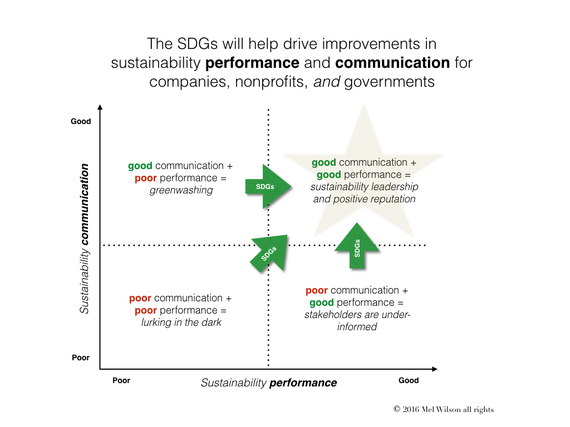 To be a leading sustainability organization you need to excel at both performance and communications. Both require strategy, planning, resources, stakeholder engagement, and information, among other things. But very few of the current sustainability-related standards set specific goals and targets. They talk about the importance of goals and targets, and they provide guidance on assessing materiality and identifying the most relevant issues to the organization and its stakeholders, but goal and target setting is left up to the individual organization. This results in organizations working in different directions, along different time frames, and sometimes at cross purposes. Opportunities for organizations to collaborate on shared goals are frequently missed. This is illustrated in the diagram below. Organizations that support and utilize the SDGs will improve their sustainability performance by setting reach goals and targets. They will improve their sustainability communications by using an internationally recognized vocabulary. This will help them move into the upper right hand quadrant, the quadrant of sustainability leadership and positive reputation. This is the quadrant where organizations say what they do and do what they say, in a spirit of continuous improvement, and are respected for it. This is where leading organizations are, and where all organizations should strive to be. And what are the benefits of demonstrating sustainability leadership and having a positive reputation? You attract customers. You attract capital. You attract and retain talent. You attract innovators. You drive efficiencies and improve productivity. You become more competitive locally, regionally and internationally. In the end it comes down to this: the SDGs are not just good for the environment and society, they are also very good for the economy. Smart companies and smart governments have figured this out. So how will the SDGs help your organization, be it a company, a nonprofit, or a government? By providing common goals and language to help you improve your sustainability performance and communication. And if everyone does this, it will result in stronger Canadian organizations and a stronger Canadian economy. This is what sustainability leadership is all about.